We understand the importance of your family’s kitchen- it’s the central meeting place in your home. Kitchens contain a variety of plumbing fixtures, and it’s vita l that they all function properly. 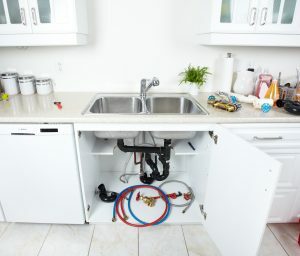 Whether you’re having trouble with your dishwasher, garbage disposal, sink, faucet or water lines, our expert plumbers can help. Installations: We are always available to help installing new fixtures, or removing old ones. Faucet repair: Call Metro Plumbing to discuss either a repair or replacement. We can install all types of sinks and faucets, and help you choose what fits your kitchen best. Leak repair: Leaks can cause a lot of damage and waste water- if you have a leak, our plumbers can help find and fix it. Dishwasher repair: Metro Plumbing can repair or install any brand of dishwasher. Drain cleaning: If your sink isn’t draining as fast as it used to, it may be build up of food debris, buildup, and mineral deposits. Metro Plumbing can get your sink back to draining fast and properly. Copyright © 2019 Metro Plumbing, A Division of Metro Heating & Cooling.